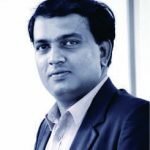 Mr Ravi R Kamath Joins Global Institute of Integral Management Studies as General Manager – Marketing with 16 year of experience in the field of education and coming from a business family. 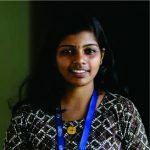 He is a (B.Com Computer Application) commerce graduate and a Master of computer application (MCA) holder in Amrita School of Arts and Science, Kochi. 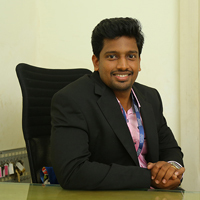 He had also done MBA (Marketing) from Bharathiar University. 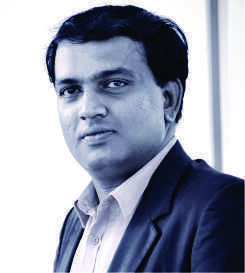 He had handled the position of General Manager (Marketing) in Vidya Bharathi Group of Institution for more than 3 years. 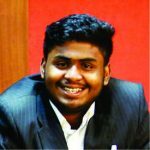 He started his career as Entrepreneur by establishing SG Software Technology and SG Library in April 2003 at Kochi with a personal collection of 5000+ Books in his kitty. 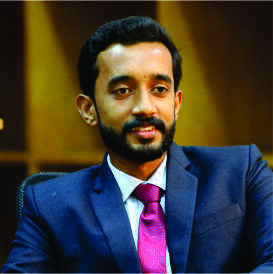 He had worked as Admission Officer in ICFAI University Distance department for 3 years and later joined in Career Launcher India Limited (CL) as Project- In-Charge (Kerala) and Business Development Role for 5 years. Another 3 years served in ICFAI Group in Business Development before joining GIIMS. He had organized Drives for Training and Hire in Banking, Finance Services and Insurance (BFSI) in Kerala for ICICI/HDFC/Axis Banks. He had conducted Career Guidance Seminar in 250+ campuses in various Schools and Colleges across Kerala State. For Social commitment runs an FB Page for Career Guidance/Scholarship – SG Vidyadhanam and also runs SG Jobs and Career. He had Successfully Completed KITCO Training for Industrial Development and an active member in organizing Medical and Blood Donation camps. He is the youngest member in HH SSTS Trust for Education and Health in Konkani community. 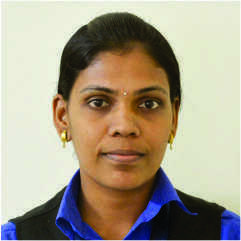 Ms. SreeKala Vinod has completed MBA (Education Management) and PGDHRM from Alagappa University. She has over 20 years of experience in marketing as well as administration in the field of education. 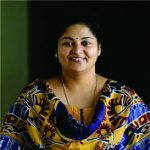 She started her career as an Entrepreneur by establishing a first of its’ kind Play School and Day care in Cochin city in 1996. 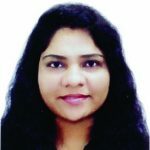 Later on, she worked as Centre Co-ordinator of HUGHES India Ltd, Manager-Training & Development at Vidyabharathi Group of Institutions, Senior Counselor at London College of Business & Finance, and Assistant Manager- Administration at Choice International. Samudra has more than 7 years of Marketing and Administration experience in educational sector and industry. 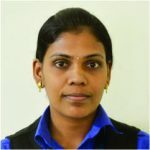 She started her career in India with Confederation of Indian Industry- Institute of Logistics and extended her career journey with reputed industries and educational institutions from Singapore. She is passionate about learning new skills and her experience helps to enhance her skills & adding value to enhance her career. 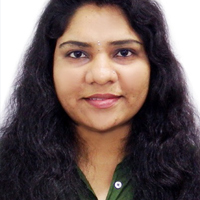 She is expertise in the area of Marketing, Administration, HR, SAP-Invoicing and Asset Management. 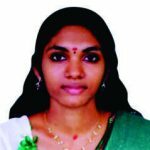 Her educational qualification includes MBA in Marketing & HR from ICFAI University and Logistics Management from Alagappa University. Mufeed.dv completed his graduation from Kannur University . 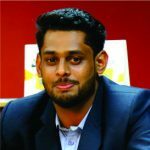 He as done Advance Diploma In Logistics and Supply Chain Management and is currently working as the Senior Marketing Manager in GIIMS. Arunkumar T.P Completed his graduation from M.G University. 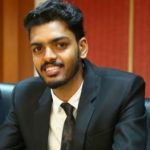 He is also Pursuing Chartered Accountant Course (Final) and also he has an experience of more than 4 years in the field of accounts & audit in different companies, and he is currently working as Sr. Manager - Accounts in GIIMS. Mr SV Shakhil Mon is from the industry with 8 years of Industrial experience in Logistics including 2 years in Academics. 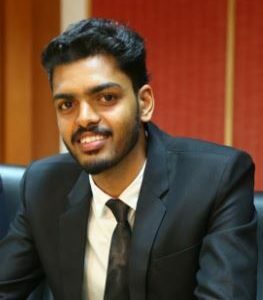 His Professional /Academic qualification includes MBA Specialised in Marketing, Bachelor of Arts in Philosophy, Post Graduate Diploma in Logistics and Supply Chain Management and Diploma in Computer Science. 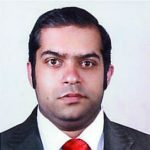 Before joining GIIMS as Senior Manager for Placements and Internships, he has been working with Shipping and Logistics companies in Kochi, South India and in DCV (Dubai Cargo Village) UAE earlier in 2015. 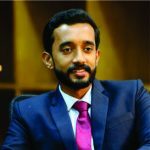 He has been the Faculty in Logistics and Management Papers and Head of Internships and Placements at VidyaBharathi Institute of Logistics Management, Kochi. 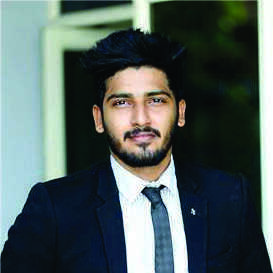 Mithun Sankar is a graduate in BA Economics from Calorx Teachers University,Ahammedabad.He also completed his Bsc degree under Calicut university.He is an Advance Diploma holder in Logistics and Supply-chain management from World University Consortium,California. Currently dealing with corporates and Logistics industry for students placements. Hebin John had completed his Diploma in Computer Hardware and Maintainence from GPTC. 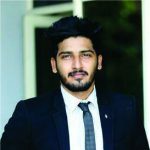 He has more than 2 years of experience in Digital marketing & Software Development. He is in charge of website and technical networking related activities, online promotions of GIIMS. 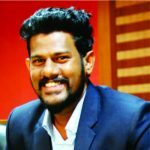 Mr. Anto C Biju has completed MBA and PGDM in Logistics & Supply Chain Management from Global Institute of Integral Management Studies, Cochin. 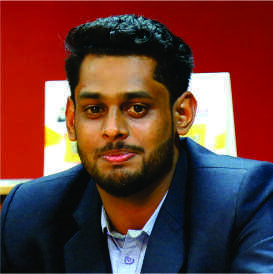 He is also a Degree holder (Bcom) from Baselius College,Kottayam. He is currently working as the Manager Marketing at GIIMS. 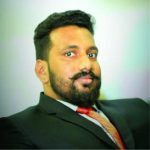 Mr. Muhammed Munawir Ali P has completed MBA and PGDM in Logistics & Supply Chain Management from Global Institute of Integral Management Studies, Cochin. 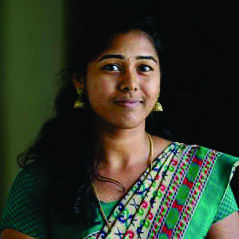 Also a Degree holder (Bcom CA) From MES Kalladi College, Mannarakkad. He is currently working as Manager Marketing at GIIMS. Ms. Gayathri Ashok has completed Bachelor of commerce from Co-Operative college Thodupuzha. 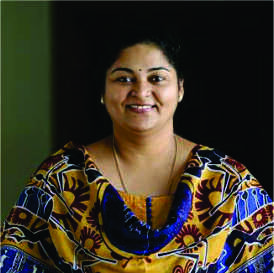 She has done PG Diploma In Logistics and Supply Chain Management. 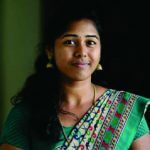 She has 1.5yr experience into venue styling in Make My Day events and weddings kochi.Currently working as Marketing Executive and Senior counsellor at GIIMS. 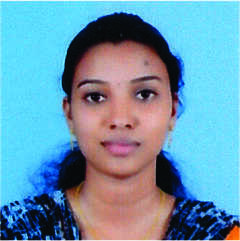 Ms. Josmy Jose has completed Bachelor of commerce from Co-Operative college Thodupuzha. 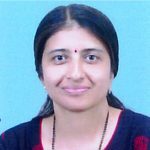 She has done PG Diploma In Logistics and Supply Chain Management.Currently working as Marketing Executive and Senior Counsellor at GIIMS. 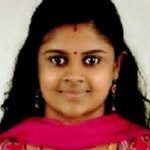 Aswathy M.R has completed M.Com from MES College for Advanced Studies Edathala, Graduated B.com in St.Thomas Arts & Science College Puthencruz, Having three years experience in the field of Accouts and Sales Tax. 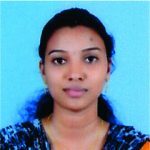 Start up the Career as an Accounts Trainee in Malayil Builders Pvt Ltd, Thiruvankulam. 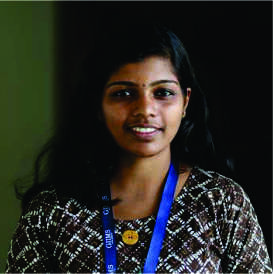 Worked in Stranbys Tally Solutions, Kaloor as Accountant. Lastly worked with Meenu Agro Enterprises Enterprises, Vaduthala. 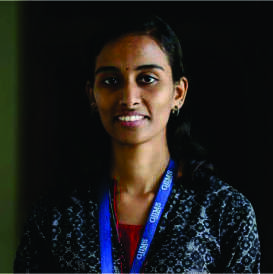 She is pursuing her M Com from M G University,Kottayam . 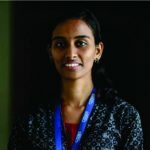 She joined Giims as Sr.Counselor from 2015. 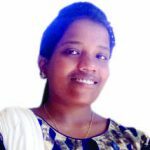 She had completed her Graduation from M.G.University and she has over 2 years of experience in Service industry and since 2015 working as Sr.Counsellor at GIIMS. 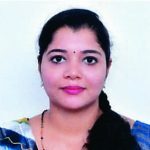 She had completed Bachelor of Commerce from M.G.University.She has over 1 year of experience as Accountant in private firm and since 2015 working as Sr.Counselor at Giims.